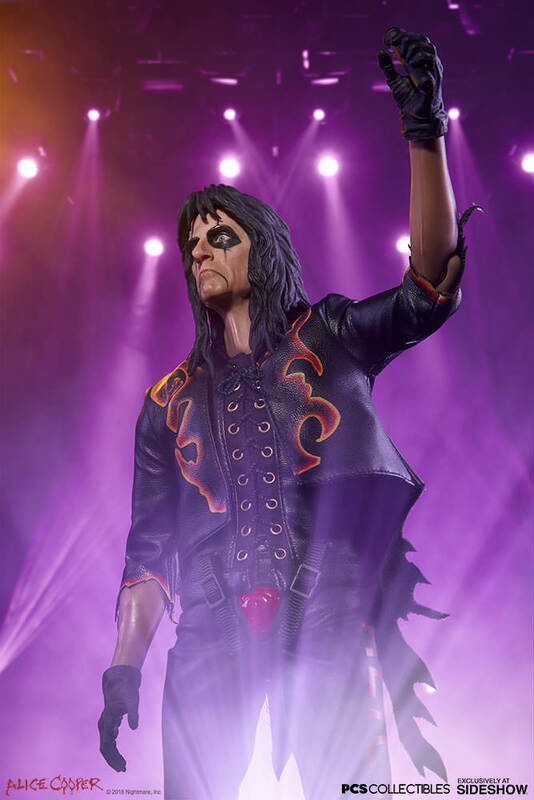 Recognized as the Godfather of Shock Rock, Alice Cooper is known the world over for his skills as a singer and songwriter, introducing his horror imagery to the rock music stage. 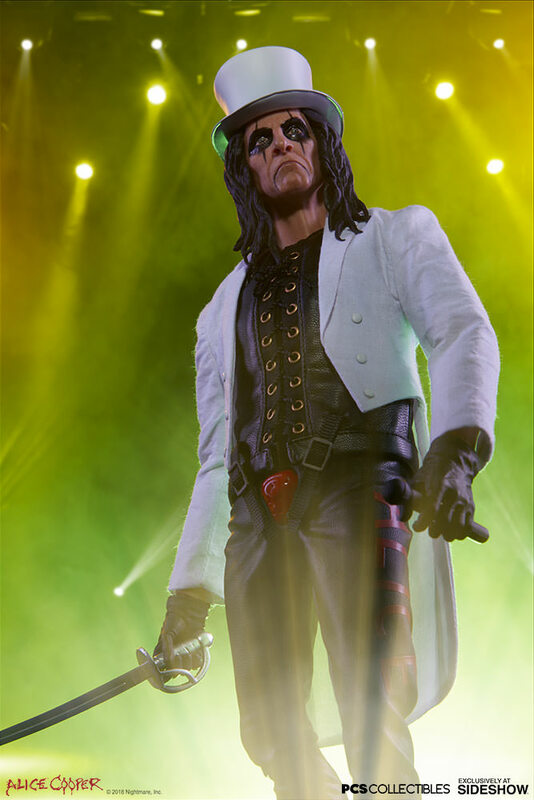 The Alice Cooper Sixth Scale Figure captures his unique stage presence as a quality collectible format like never before. 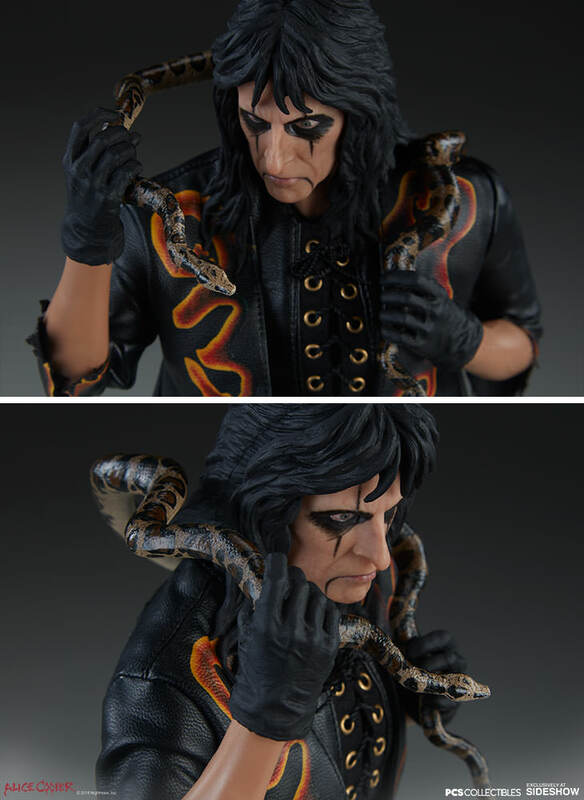 The Alice Cooper Sixth Scale figure has a high-quality articulated body with a detailed head sculpt of the iconic singer himself, featuring sculpted black hair and his signature face makeup, as well as an additional swap-out portrait wearing a white hat. 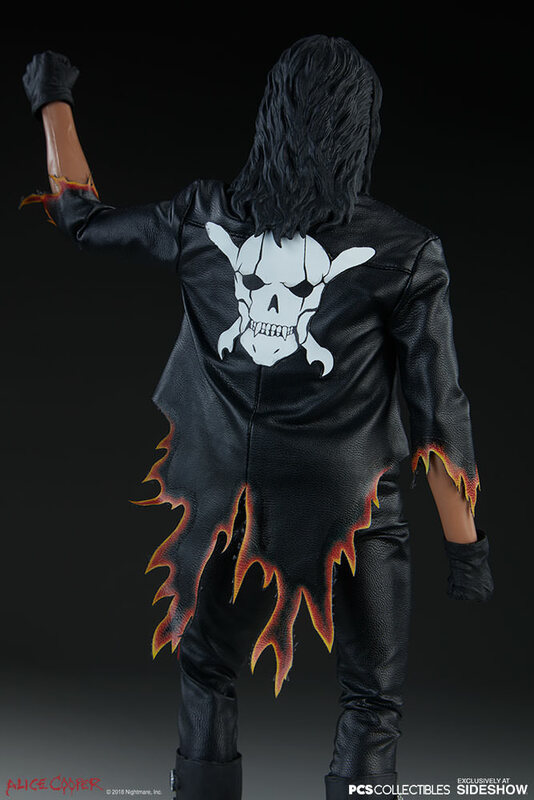 The figure also includes four sets of interchangeable hands, including a pair of fists, open hands, relaxed hands, and grip hands. 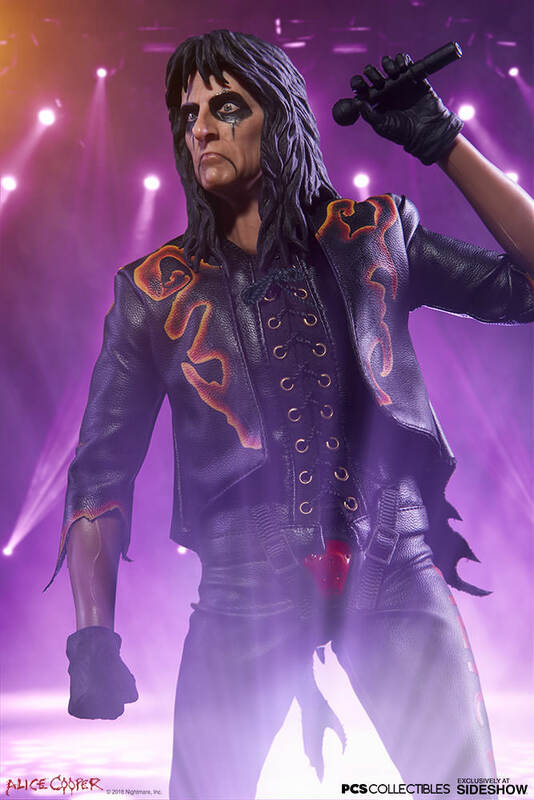 The Alice Cooper Sixth Scale Figure comes dressed in a custom fabric costume including black leather-like pants, a laced-up shirt, and sculpted boots. 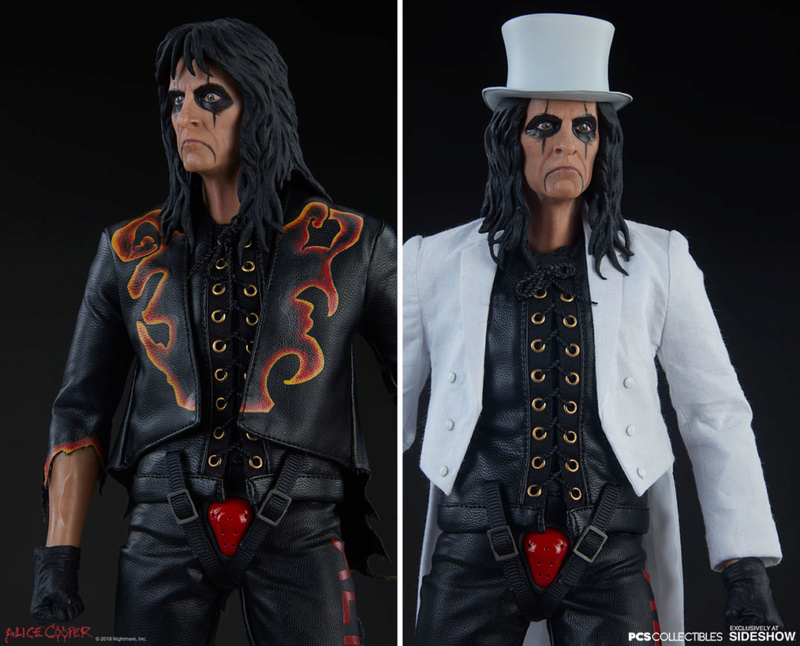 Display the figure with either his interchangeable flame-pattern jacket and white coat to show off your favorite Alice Cooper look. 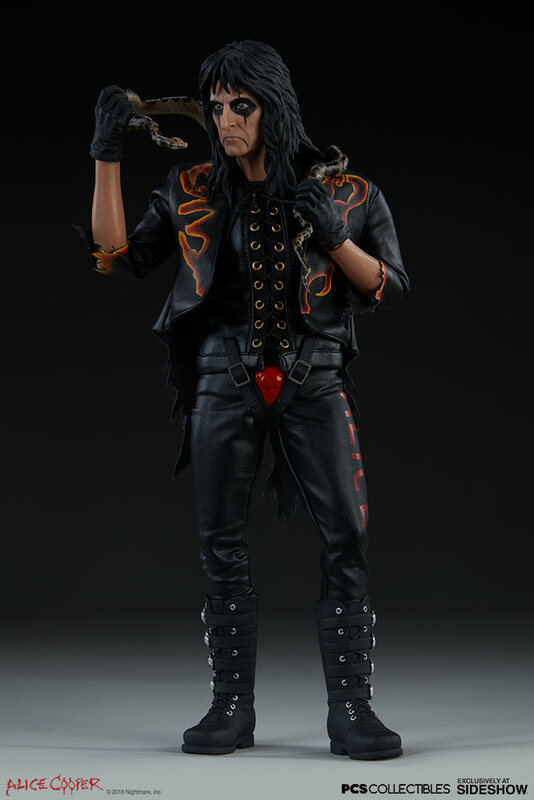 He also features a number of accessories, including a snake, a sword, and a microphone that you can use to create epic on-stage moments on your collectibles shelf. 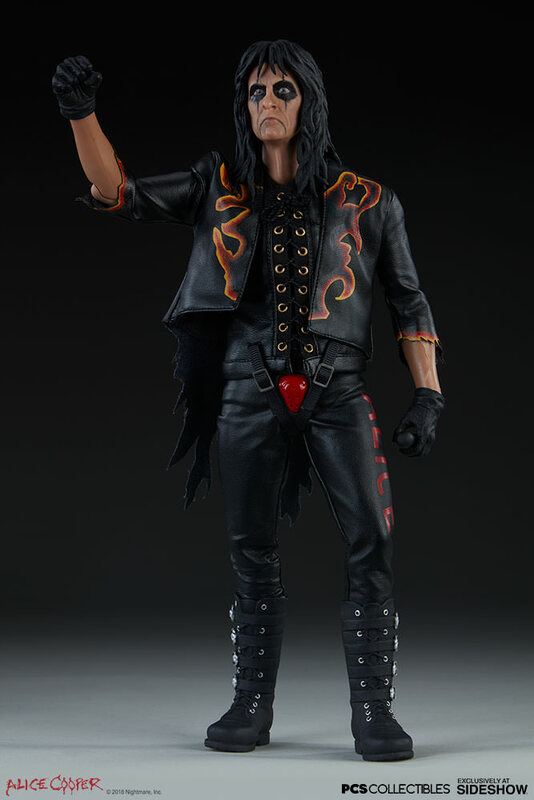 Bring the noise to your collection! 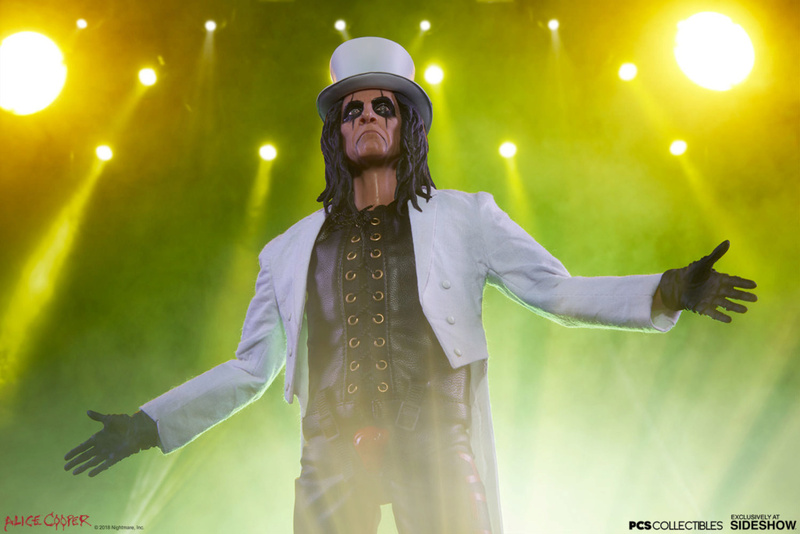 Be sure to add the Alice Cooper Sixth Scale Figure from PCS to your setlist of rock music collectibles. I would take this announcement with a very large pinch of salt. 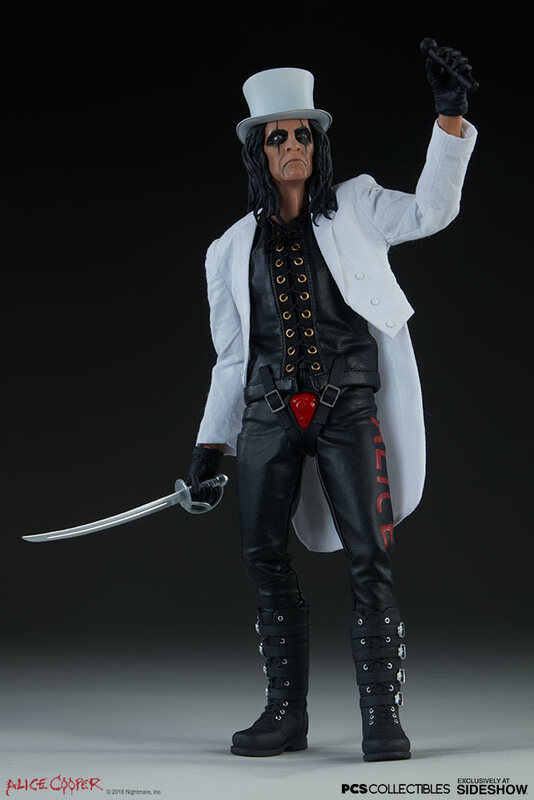 PCS have been notorious in the past for producing loads of prototypes and very few actual figures. They're not as bad as M8 as PCS don't release anything they can take money from. 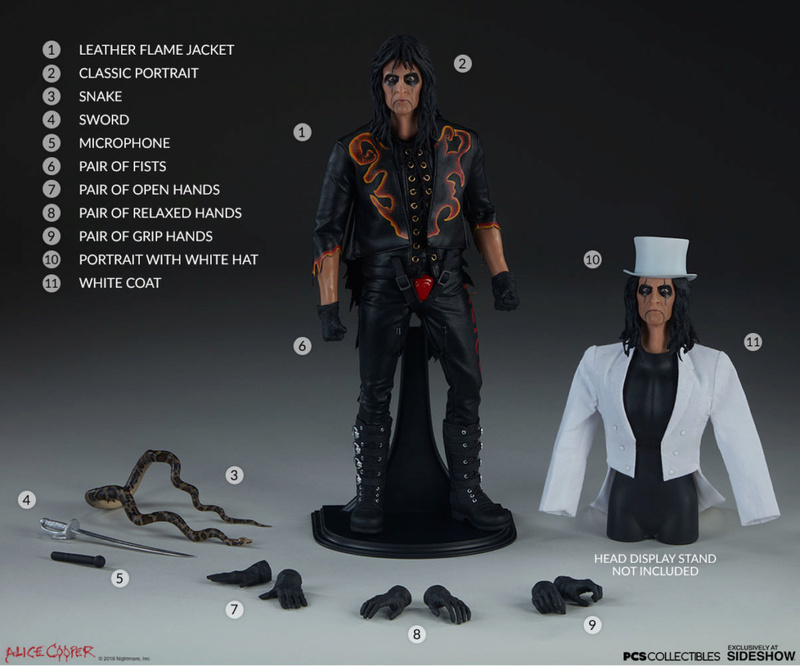 I'd approach with caution and see what emerges, by the time 2020 rolls around this may well have disappeared into development hell along with their American Werewolf and The Thing figures. 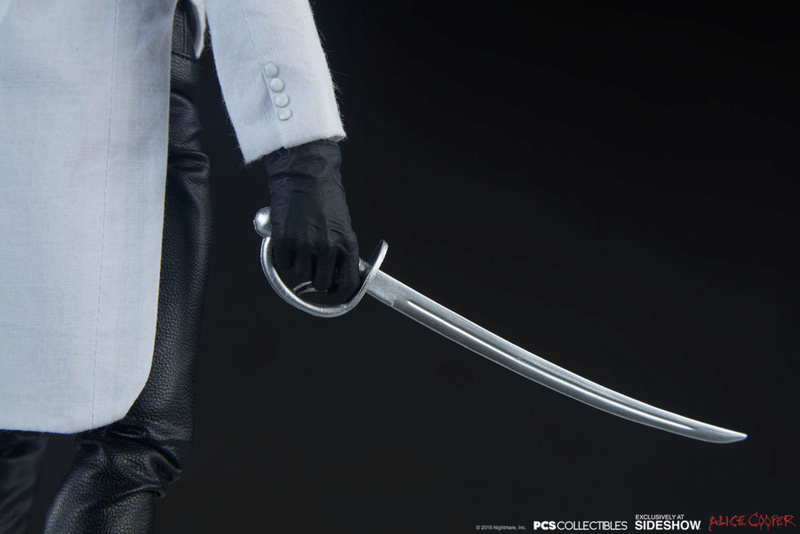 Odd thing is they first showed the prototype for this about two years ago. Sounds about right, everything else I mentioned did as well. 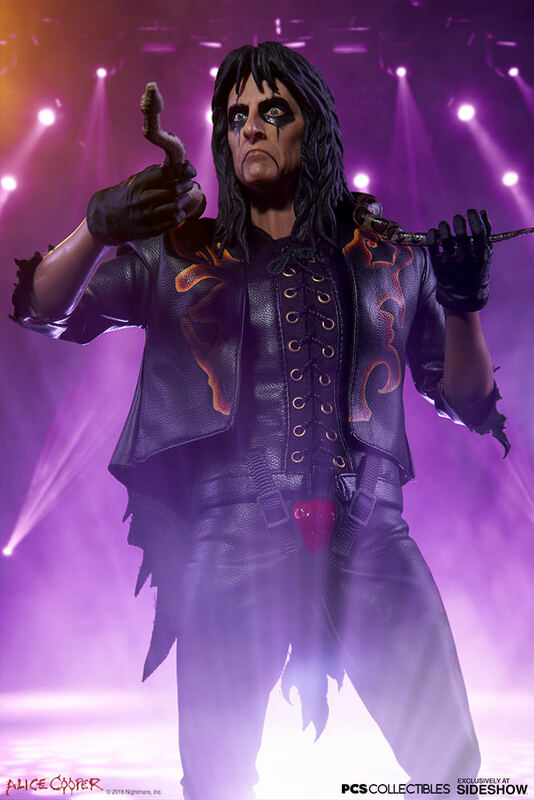 Pre-order at your own risk. Spot on, Roger. 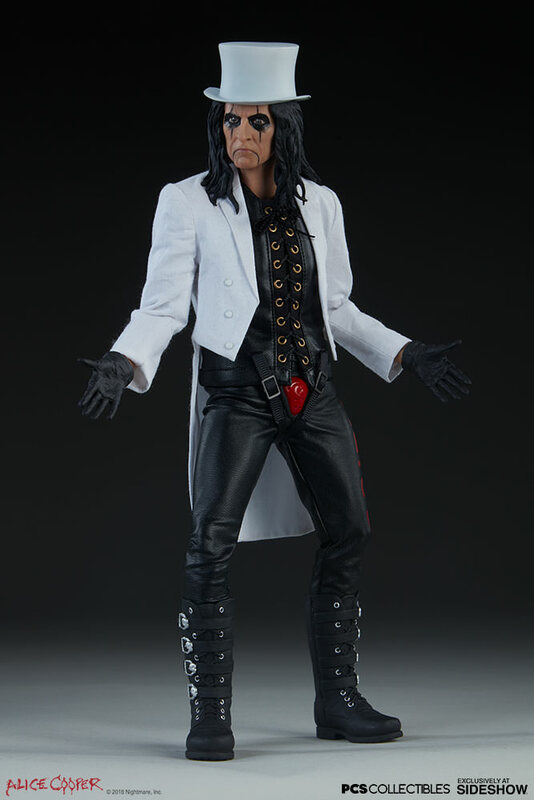 Luckily (if you're in the states, anyway) there are companies like Timewalker that doesn't charge you anything until the product is on "imminent" arrival from the Distributor, so you don't lose anything until/if it ships. 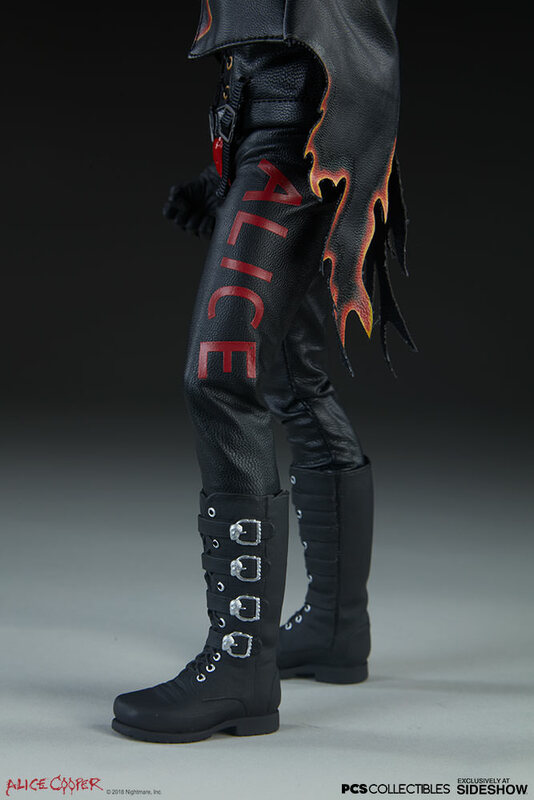 But I don't really have a need for Alice Cooper, so it's not a major concern. Me neither, it's just those that do that I feel sorry for.